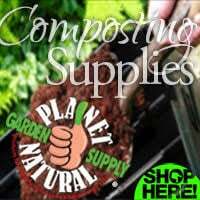 Dealing with harmful fungi and bacteria that can get into your compost. 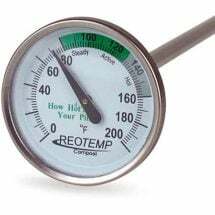 Keep your pile cooking with this 20-inch long, stainless steel thermometer. Composting produces a few organisms, particularly a mold called Aspergillus fumigatus (see picture above), which can cause a variety of mostly respiratory diseases grouped under the title Aspergillosis. These can be actual infections, usually in the lungs, or allergic reactions which cause asthma, and they range from troublesome to deadly. 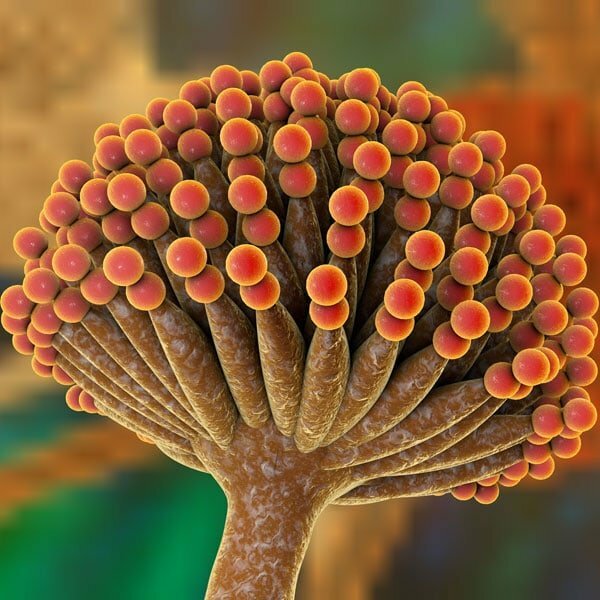 We share the world with a wide range of Aspergillus fungi. But Aspergillosis almost always results from exposure to A. fumigatus, which is ubiquitous not only in compost heaps but in the atmosphere. Aspergillosis usually attacks people whose health is already compromised. Especially at risk are people who have asthma, those whose lungs are pitted or scarred by previous diseases such as tuberculosis, and those who have seriously compromised immune systems such as AIDS patients. There’s no reason to think that making SAFE compost is out of reach. 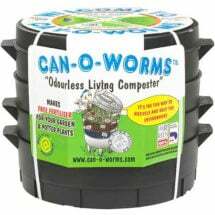 At Planet Natural we supply everything you need: bins, tumblers and activators to get your pile cooking, plus worm farms for kitchen scraps. Now, let’s rot! A. fumigatus thrives in composting piles at higher temperatures, from about 95-104°F (35 to 50°C). Above or below this range, A. fumigatus populations drop precipitously. 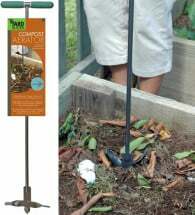 Within it, a gram of compost can contain ten million fungal spores. (The Living Soil, J-M Gobat et. al., 2004. p. 346.). Millions of these spores are released and become airborne when compost is turned. Some experts advise that everyone wear a mask when turning compost. Certainly anyone who feels ill after this chore should take the condition seriously and should consider aspergillosis as a possible cause. Composting is not a good activity for people with any of the at-risk conditions. Most of us have heard about illnesses caused by E. coli and salmonella in meat or on lettuce, but this seems to be a problem contained to supermarket products. Surely these pathogens can’t turn up in compost. Animal feces, human feces, manures and tainted water can all carry these problems. 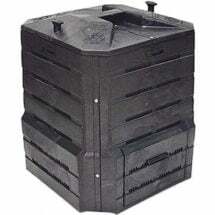 While most are killed by reasonably high composting temperatures (130-140°F (54-60°C) for several days). At least one strain of E. coli, known as E. Coli O157:H7, can’t be reliably killed except by temperatures above 160°F (71°C). E. Coli O157:H7 is the Wile E. Coyote of pathogens. Wile E. falls from endless cliffs, gets stomped on, run over, pinned by cactuses, and so on, yet always peels himself off the pavement to chase the roadrunner another day. 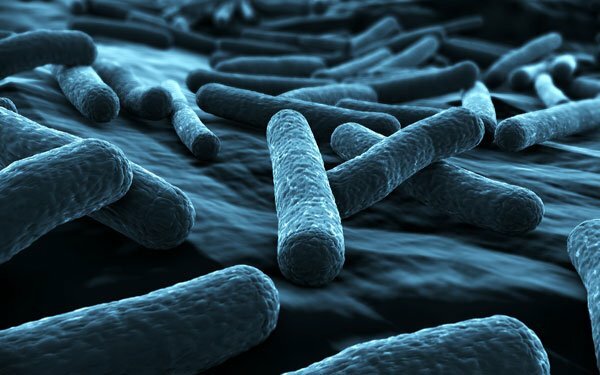 E. Coli O157:H7 can survive drought, refrigeration, even freezing. It can tolerate dry, acidic and salty conditions. Furthermore, it’s remarkably virulent, being able to cause serious illness after minimal exposure. It’s fairly new on the scene, the first confirmed outbreak having occurred in 1982. This is what’s usually implicated in E. coli outbreaks. 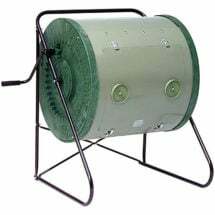 Contamination by organisms such as E. coli, salmonella and others occurs most frequently in manures, not in vegetable composts, and in fresh manure far more often than in mature, or composted manure (see Composting Manure). But birds, dogs, deer, squirrels, cats, raccoons and who knows what other animals could decide to add their piles to your pile, contaminating otherwise pure vegetable composts. This is one strong argument for covering compost heaps. An easy and effective way to mix and add oxygen to the pile without heavy lifting.